Santa Claus is a man who lives at the North Pole. He delivers gifts on Christmas to children all over the world. Often during the Christmas season, children send him letters so they can let him know what they want for Christmas. 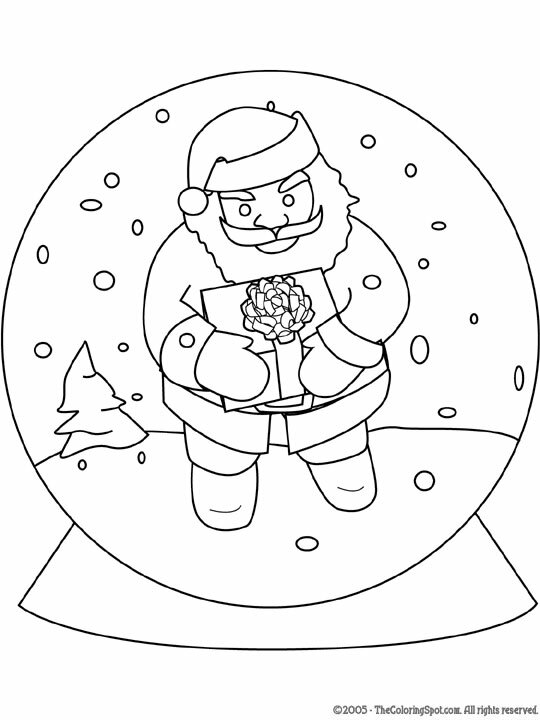 A snow globe is a transparent globe made of plastic or glass, filled with clear liquid. Snow globes feature a winter scene. When you shake them up, small white particles swim around inside the globe, and look like snow.